Ramparts Fiduciary is a Member Firm of the Gibraltar Stock Exchange and licensed by the Gibraltar Financial Services Commission as a company manager. 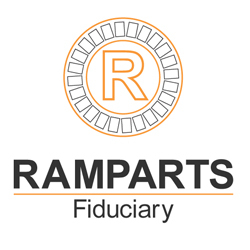 Ramparts Fiduciary provides corporate and administrative support for listed funds and for listing market instruments working with Ramparts European Law Firm in respect of advising on prospectus requirements and other legal requirements. We provide company establishment, registered office, company administration and support on structuring public offerings. Ramparts Fiduciary is part of the Ramparts European business group that includes regulated legal practices based in Gibraltar and the United Kingdom. The Ramparts business group is a specialist legal and corporate advisor in the finance, technology, e-gaming and e-commerce sectors. We are experts in cross-border finance, e-money and e-payments law. We are also prominent in the cryptocurrency and ICO sectors (including acting as main advisors to TokenMarket).